At R.P.M. Performance in Burlington, we know how important it is to keep the items in the back of your truck safe from the environment and from people. One of the easiest ways to defend your gear is with a tonneau cover. 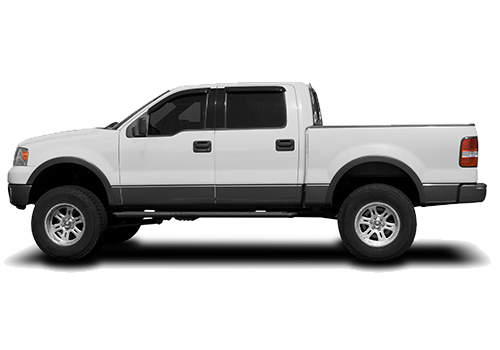 Call us today to learn more about our selection of tonneau covers and other car, SUV, and truck accessories. Are designed to fit your truck bed perfectly. Are available in a number of different styles — from hard covers to soft covers. Can be painted to match your truck. Can help reduce your fuel costs. You always make sure to lock your truck when you leave it anywhere, so why wouldn’t you do the same for your truck bed? A tonneau cover from R.P.M. Performance in Burlington lets your bed become just as secure as your cab, while adding a nice visual element. No matter what your security needs are, we have a tonneau cover that can help keep your goods safe from sticky fingers, rain, sun, and snow. When you choose R.P.M. Performance, you will always receive the best possible installation and products at the best price. From full performance projects to a tonneau cover installation, we will get the job done quickly and correctly. If you add aftermarket parts to your SUV or truck, our paint shop can paint them to match your vehicle, or choose an accent color that will make your vehicle as unique as you are. Call us today for an appointment or use our interactive online builder to create a fully customized truck using the best parts available. We know that we can help you build out your vehicle so it will be perfect for your needs.